A következő gépekre szerelhető Koparki 6-13 ton. Excavators with weight from 6 to 13 tones. Bagger mit Einsatzgewicht von 6 bis 13 Ton. екскаваторів від 6 до 13 тонн. для экскаваторов от 6 до 13 тб. Egyéb információ. We are an authorized dealer of Hamer srl in Poland. We offer all equipments of demolition and recycling. All our devices are manufactured by Hammer srl in Italy and do not have components from other manufacturers. 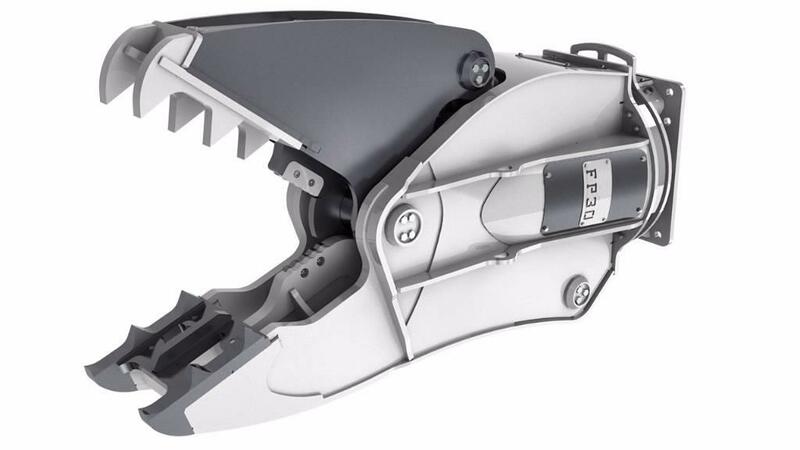 The FP series is a rotary shear scraper for excavators with weight from 6 to 110 tonnes. They are characterized by high cutting force and mobility. - Speed Valve - Fast opening and closing of jaws.